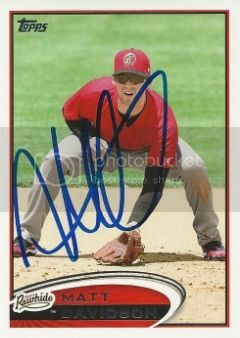 Thanks for helping me get Matt's signature at Spring Training, as well. I hope he lives up to the hype! No problem. I think I got his Heritage card signed the day you and I were hanging out.